Black Friday has been the start of many problems between poker players as online poker has been in a state of disruption and change. Turmoil and drama have been rampant, and there have also been stories of unethical action. A good example of all of the above is the story of Jose “Girah” Macedo. Macedo became famous as someone who went from rags to riches. Nicknamed the Portuguese Poker Prodigy, he apparently turned a €30 deposit into a bankroll that could support games all the way up to $100/$200 No Limit Hold’em. Two respected players, Daniel “jungleman” Cates and Haseeb “DogIsHead” Qureshi, had only good things to say about him and his game. People were confused when Macedo wouldn’t make his screen names public, which he claimed was at the request of his lawyers. This didn’t cause him many problems, however, because a few high stakes players were willing to bet thousands of dollars with anyone who was skeptical of Macedo’s story. 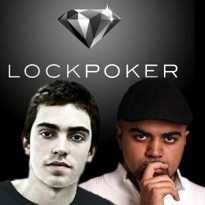 Things started to become strange shortly after Macedo became a Lock Poker Pro, however. He was the winner of a Lock Poker competition, but then they disqualified him for multi-accounting. He claimed that one of the players that staked him had signed into his account and sat at some PLO tables while he was offline. Back then people didn’t know the identity of the person that signed into his account, but it has since been brought to knowledge that it was Qureshi. These strange occurrences were just the tip of the iceberg of unethical actions, however. Macedo had become a member of a Skype chat consisting of high stakes cash gamers. He urged several people in the group to join high stakes games against players he insisted were very bad at poker. Macedo also wished to watch these matches in real time, which meant that he knew their hole cards at all times. Everyone that played these so-called bad players ended up logging losing sessions. The victims of these losing sessions talked to each other and concluded that Macedo must be taking advantage of them thanks to the fact he could see their hole cards. He had to be passing info to the owners of these other accounts, or he was playing on the accounts himself. Soon the cat was out of the bag, and Macedo was driven to admit in his blog that he had, in fact, cheated these players to the amount of $30,000. It is unfortunate that these things are happening right now in the poker world. We need licensed, regulated online poker in the United States as soon as possible. If you pay close attention to the online poker industry, you are likely in tune with the ongoing licensing problems of Full Tilt Poker. This past Friday the Kahnawake Gaming Commission agreed to renew the site’s Secondary Client Provider Authorization for a term of two years. Many poker players were confused upon hearing that Full Tilt Poker was licensed at all by Kahnawake. UB and Absolute Poker, two sites that have been riddled with scandal, are also licensed by Kahnawake. The Cereus network once owned two of the biggest online poker sites, but they were hit hard by the loss of American business since Black Friday. This is something they have in common with Full Tilt. Despite the renewal of Full Tilt’s secondary license, their primary license from the Alderney Gambling Control Commission (AGCC) is still suspended and pending an upcoming hearing. Paraphrasing the Alderney Commission’s website, they are looking for their hearing with Full Tilt to occur as soon as possible and no later than September 15th. Full Tilt’s primary license is still valid despite the fact it is suspended, which allowed them to have their secondary license renewed. If Full Tilt were to lose their primary license completely, however, they would in turn lose their Kahnawake license. Some people wondered whether or not Full Tilt might be able to continue operation even without the AGCC, but this has clarified the issue. Full Tilt still cannot offer gaming, accept player deposits, or process withdrawals. For the people that have been playing on Full Tilt, this is incredibly disappointing. The following is clear: Kahnawake can serve as a backup if the servers Full Tilt has with their primary gaming commission go down. It remains to be seen whether or not Kahnawake could or ever would provide Full Tilt’s primary license at any point in time.